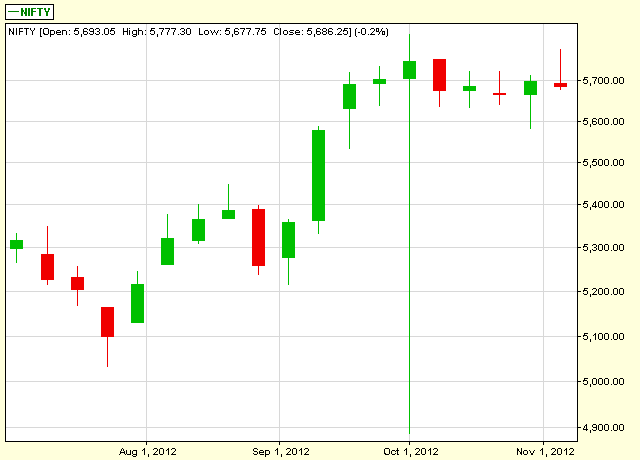 Welcome to new month .. 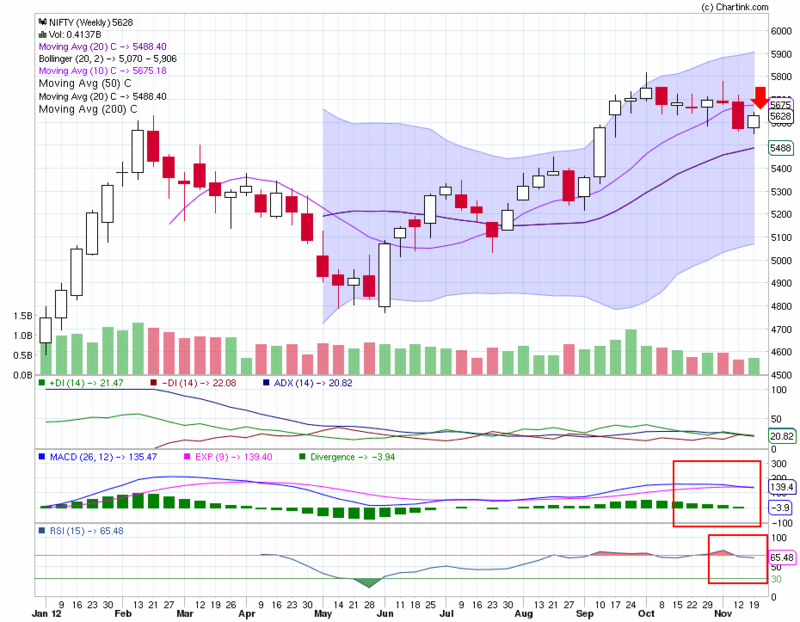 It is Friday and last day of Nov.
Maruti consolidating at 1500 level since last 7 sessions with all red candles ...is some one behind its move who is holding it there ....??? 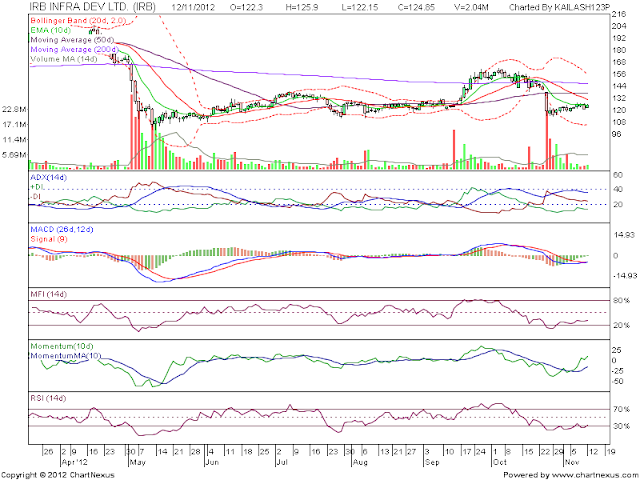 singaram murali (11/29/2012 9:34:14 AM): tsl sir ? 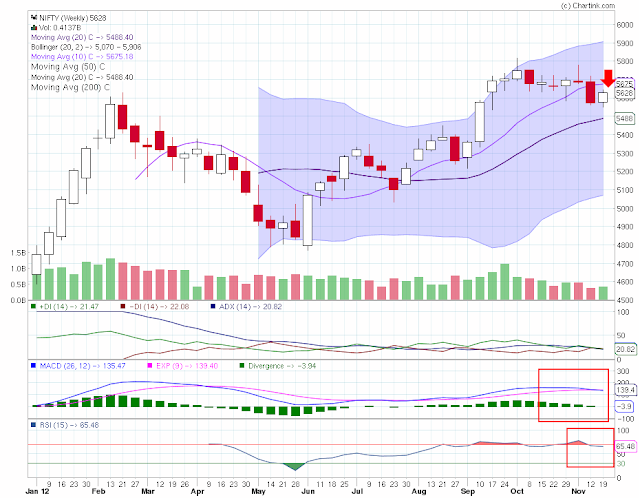 Flat to slightly positive opening is expected with extremely volatile session ahead...keep ur nifty short sold at 5770 with sl of 5796 and book profits at 15 20 points ....quick exit and entry strategy will work ...as today is expiry and we are expecting surprises are there ..
if nifty will unable to breach falling channel upper limit we may see selling pressure tomorrow which will move nifty towards lower end of horizontal channel . 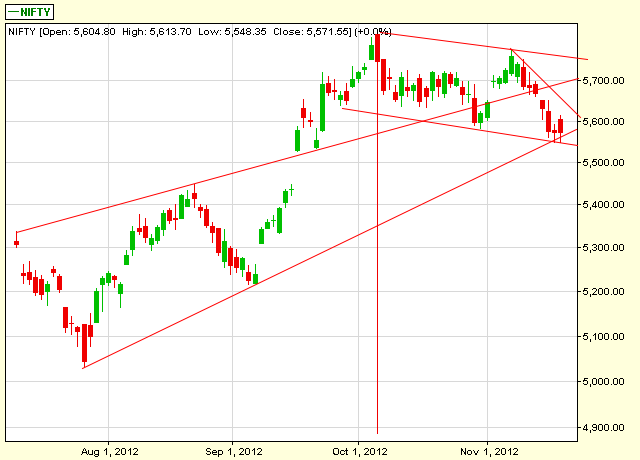 if nifty will break these upper lines we may see huge short covering and nifty will move towards 5800 and above ..
same chart with bottom trend line and horizontal channel. 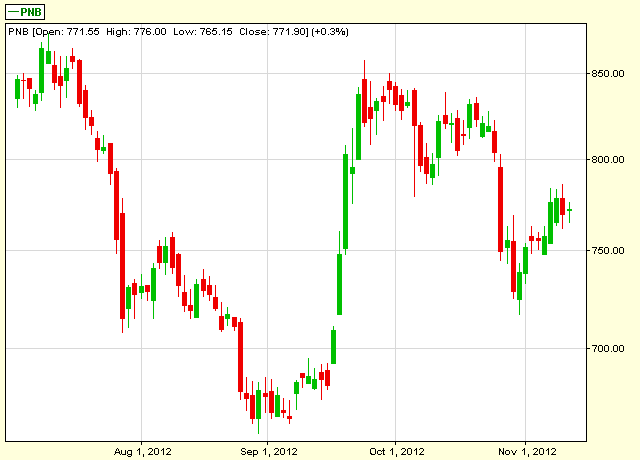 kailash123p@yahoo.co.in (11/23/2012 12:07:58 PM): LOK SABHA Adjourned till monday. 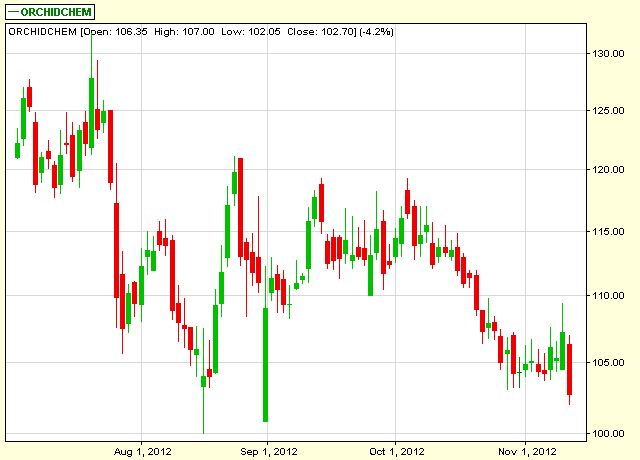 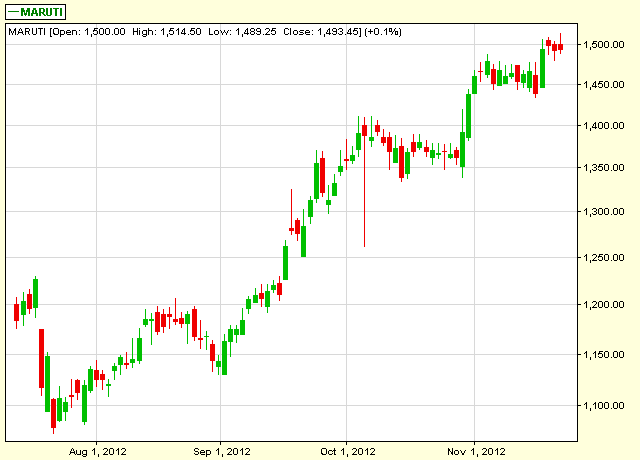 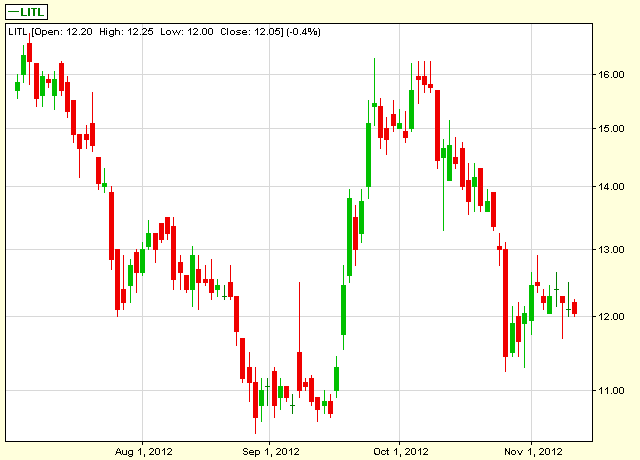 kailash123p@yahoo.co.in (11/23/2012 12:16:30 PM): bank nifty trading at 11454 what was first tgt ? 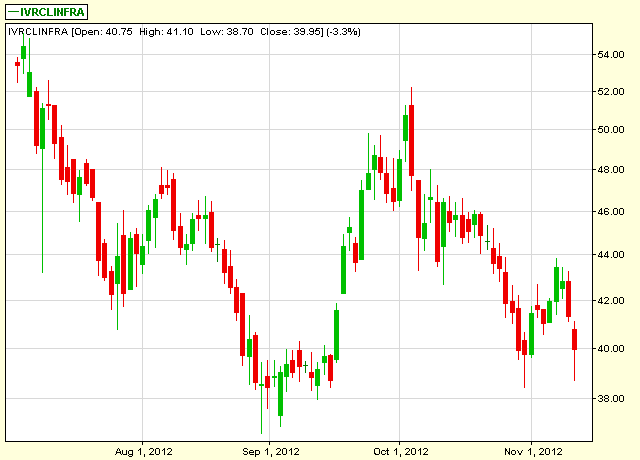 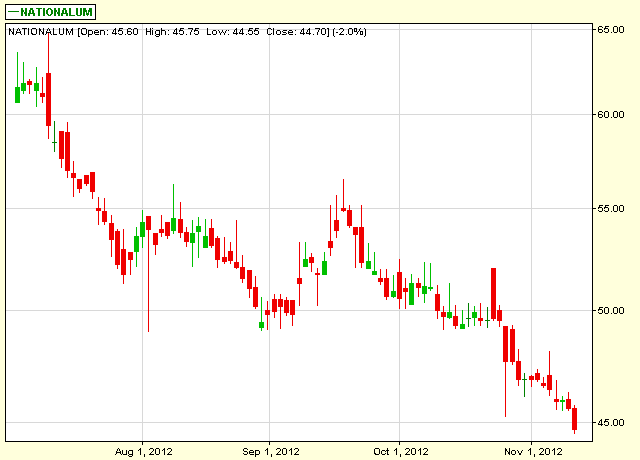 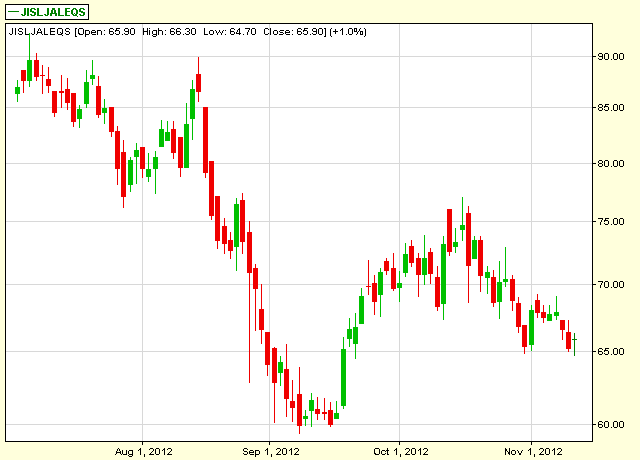 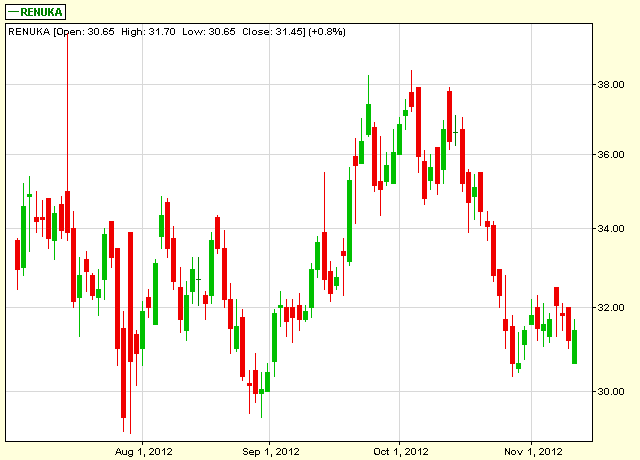 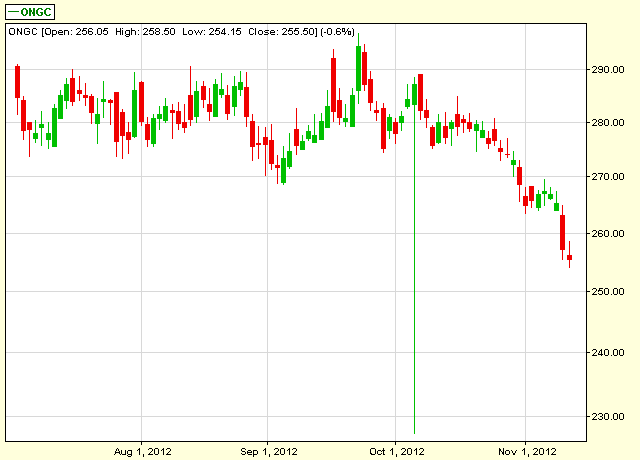 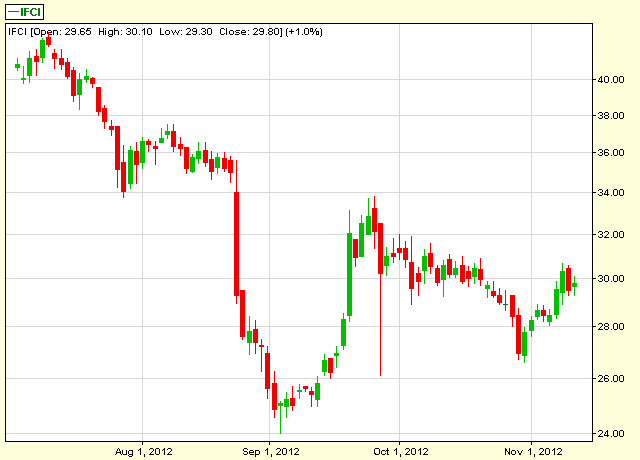 kailash123p@yahoo.co.in (11/23/2012 12:27:01 PM): bharti made low of 306.60 advised t sell at 308 have u gained ?? 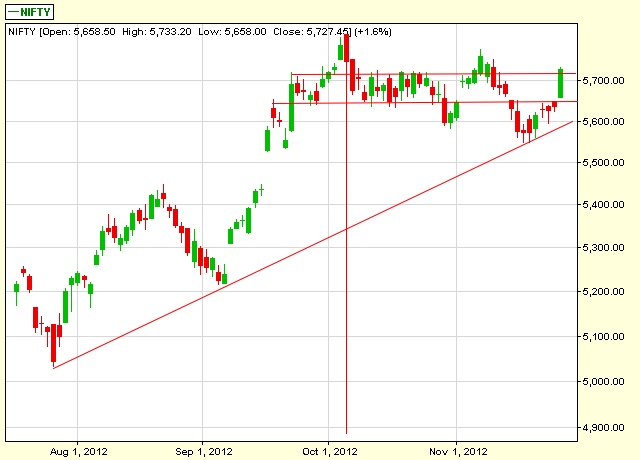 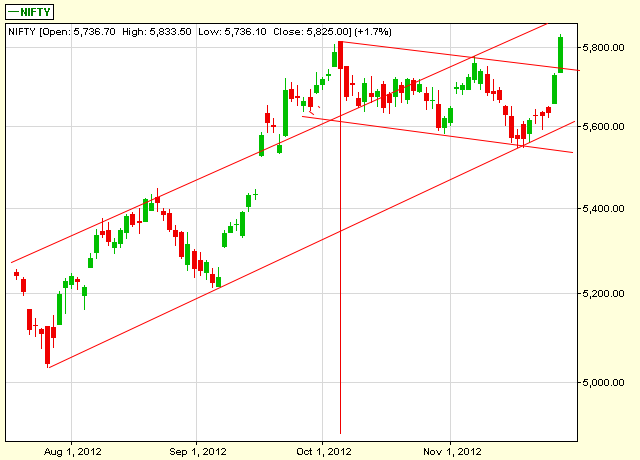 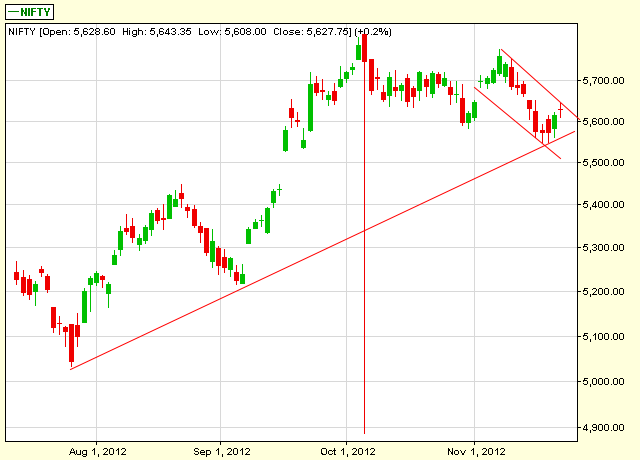 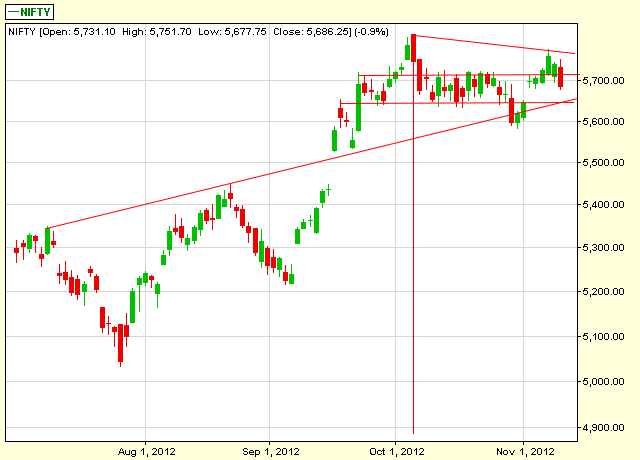 panic sell off in maruti will be seen ..
One trend line can revert the direction ?? 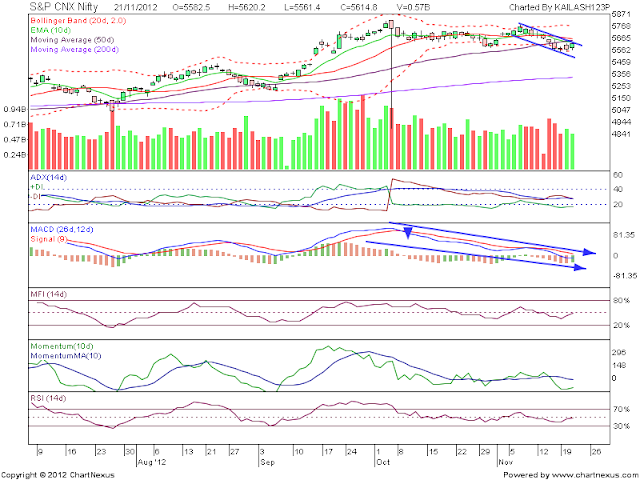 Flat to negative opening is expected with possibility of choppy session with increased volatility today as sentiment is bearish and today is Friday ..
kailash123p@yahoo.co.in (11/16/2012 10:04:48 AM): indicators are not supporting up move but mkt moving up will it sustain i have doubt ? off loaded or initiated fresh short positions below 5650 ???? 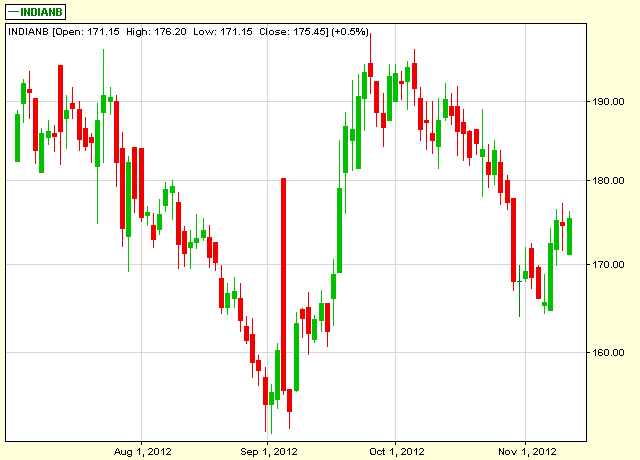 I was passing sell call in gold for 1000 points fall as gold was trading at 50 % fib retracement level and more and more supply was there ..
last years muhurat picks traded above 30 % within 1 year . 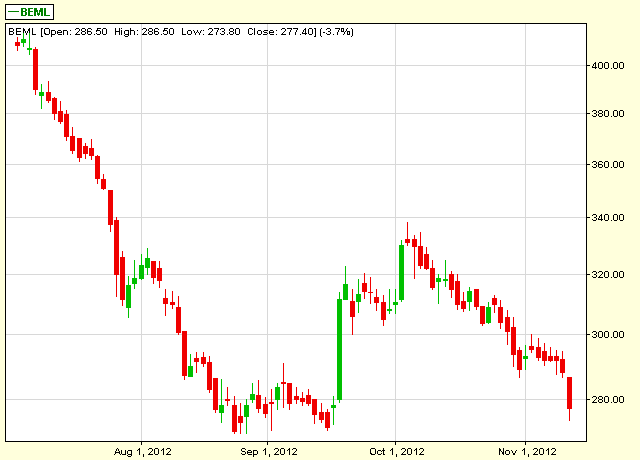 Expecting 25 to 50% return on scrips within 1 year . 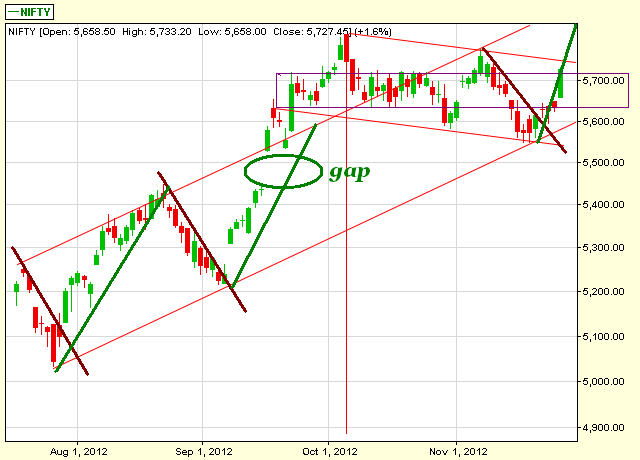 keep stoploss of 3 % ...exit if trades below 3% but enter again above these levels with same stoploss. 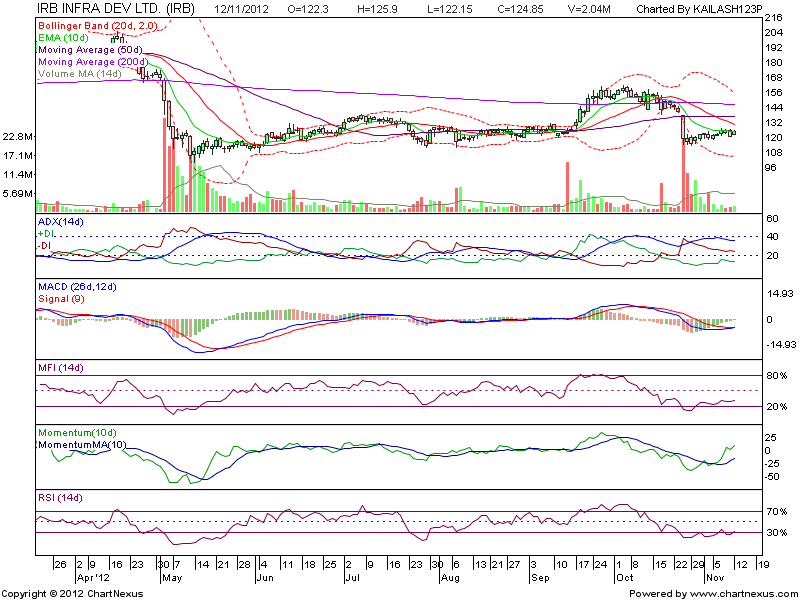 These stocks either bottomed out or trading at very strong support or making double or triple bottom. 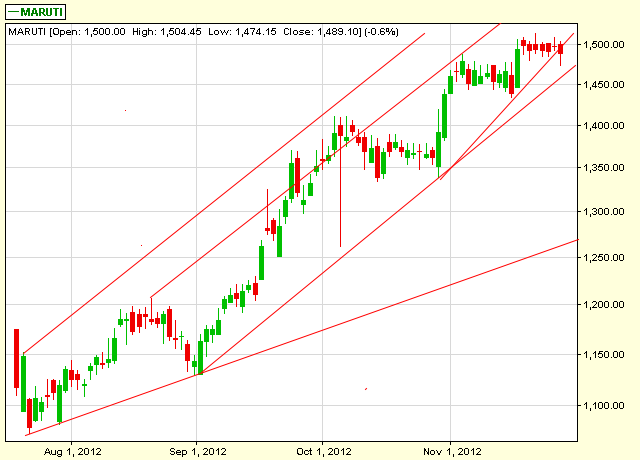 You can make portfolio of these stocks for 30 % gain in an year.